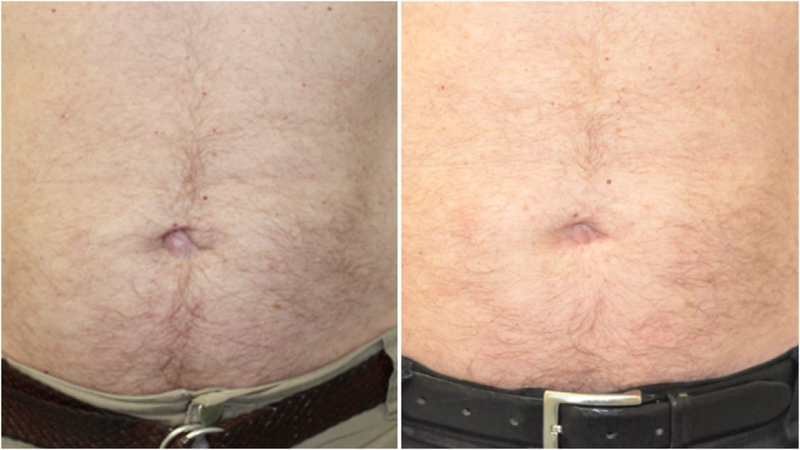 There are many reasons for people to consider belly button reshaping surgery. One of the more common reasons is the presence of what’s known as an umbilical (or paraumbilical) hernia. In this condition, a defect in the abdominal musculature allows the protrusion of intra-abdominal contents to the surface. This often manifests itself as an ‘outie’ belly button and is a common feature post-pregnancy. It can effectively be surgically corrected by repairing the defect in the muscles with a hidden incision. Alternatively, it can be addressed as part of a complete tummy tuck procedure. 30s, female, small umbilical hernia giving excessive upper fullness and 'outie' appearance. Corrected with hidden incision umbilical hernia repair. 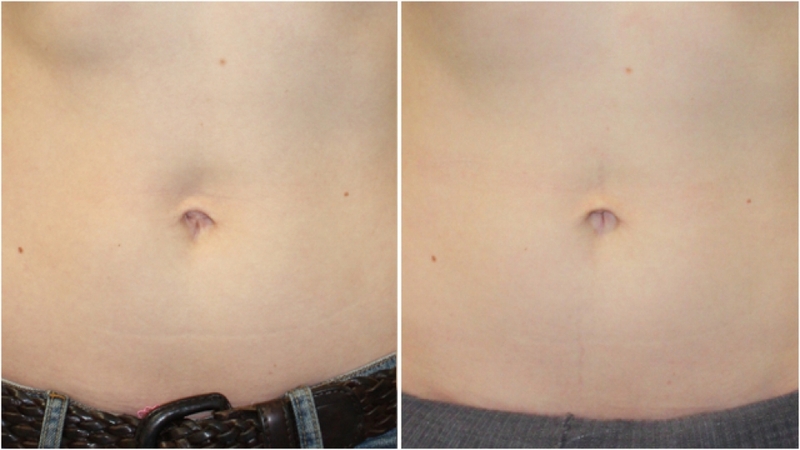 Late 20s, female, 2 children, 'outie' belly button from umbilical hernia corrected with a hidden incision hernia repair. 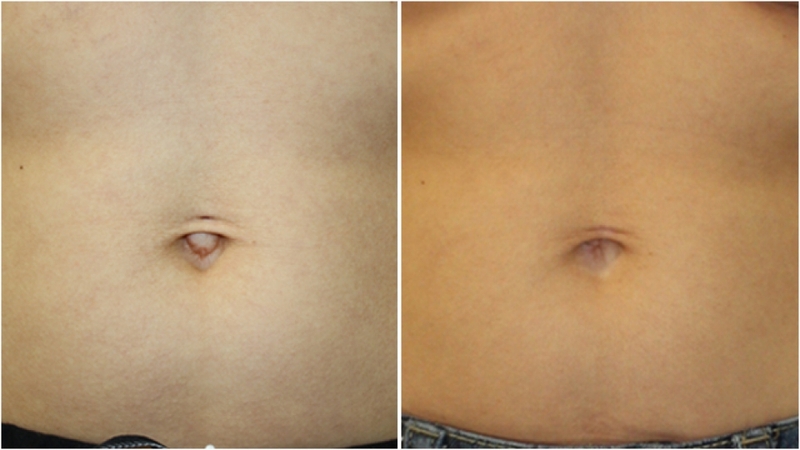 32 year old, belly button reshaping surgery was performed to give a more attractive navel region following pregnancy. 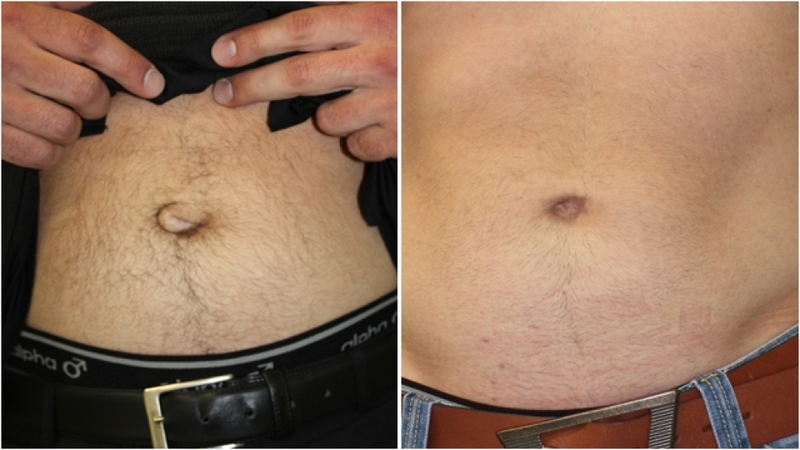 29 year old man, conscious of the appearance of his belly button, underwent belly button reshaping surgery to achieve a more attractive abdomen. Mid 50s, umbilical bulge caused by hernia repaired with a concealed incision.